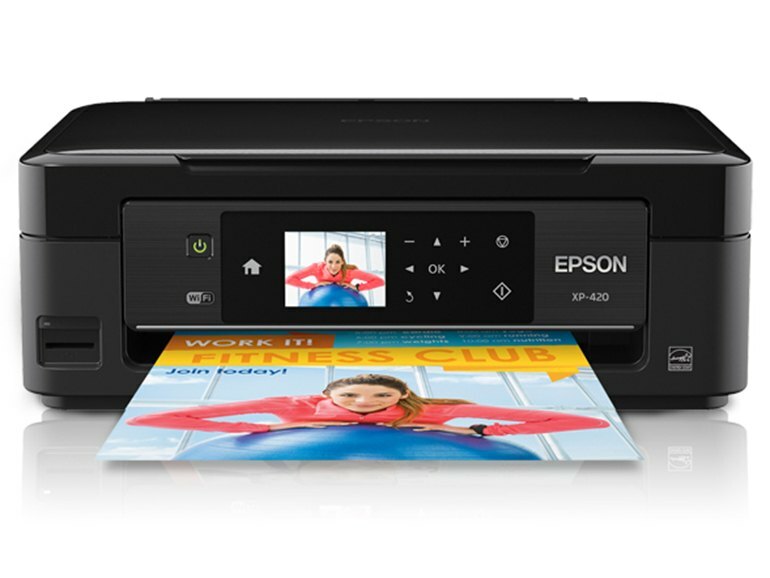 The printer has a hi-res 2.5-inch LCD display for settings, setup, and preview of images. The Expression prints from or scans to a memory card for a PC-less experience. Scan to Facebook or the cloud for easy sharing. 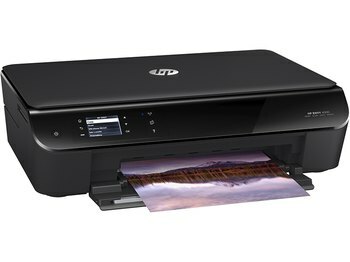 Print wirelessly from iPhone, iPad, a tablet, or smartphone with AirPrint, Google Cloud Print, or Epson Connect. 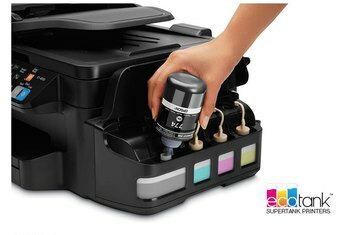 The ink is more expensive than other printers in the same price range, so running this printer costs you more. The printer lacks an Ethernet connection. Some testers report flimsy construction, ink problems, and difficulty getting connected. 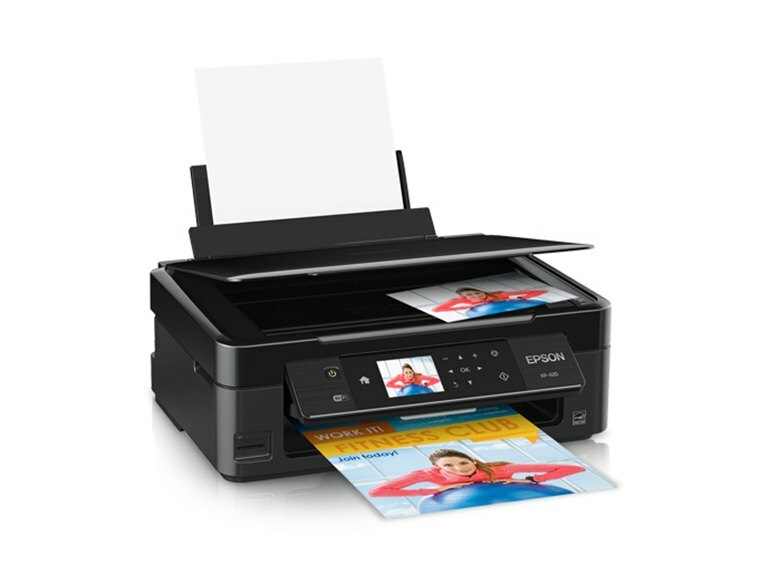 The Epson Expression Home XP-420 Small-in-One printer scans and prints with or without a PC. 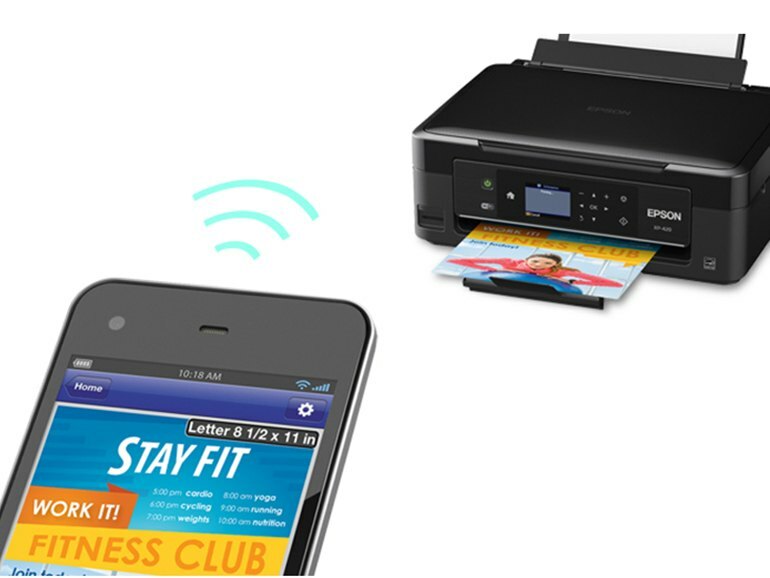 Use Wi-Fi Direct or USB to connect, or print from iPhone, iPad, tablets, or smartphones with AirPrint, Google Cloud Print, or Epson Connect. Set up and navigate with the hi-res 2.5-inch touch-screen LCD, or view, crop, and print from the built-in memory card slot. 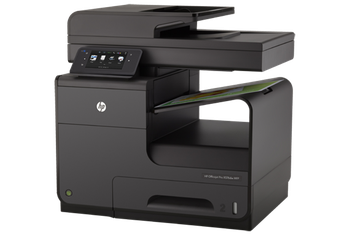 The compact size with integral 100-sheet capacity saves space on your desk or workspace. Software is included to scan to Facebook or to the cloud. Water resistant instant-dry ink reduces smudging and fading. The Epson Expression Home XP-420 is worth your attention if you're shopping for a fast, reliable printer in the sub-$100 category that fits in tight spaces. In short, this printer isn't very user-friendly or simple to operate. 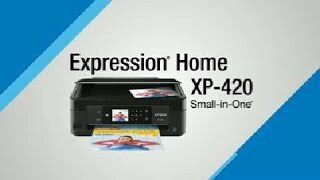 While the XP-420 wouldn’t be our first choice for a family that prints a lot, or one that needs photo quality output, it’s a pretty good deal if you want to reward a middle school student with his or her own printer. You can’t beat the price. For only $79.99, you’re getting as much bang for your buck as you can hope to expect. 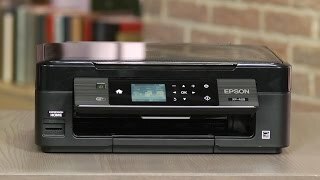 This device is almost as good as printers that cost three times as much money, and it blows similarly-priced devices out of the water. 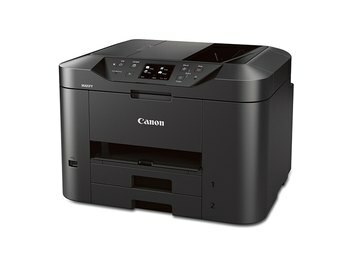 This light, compact multifunction printer churns out good-looking pages of all kinds. Just know its limitations: Its lack of an ADF and the high cost per page make it best for light duty. Photos showed good overall color accuracy and realistic contours and shadows. Fleshtones, though pinkish were still credible.